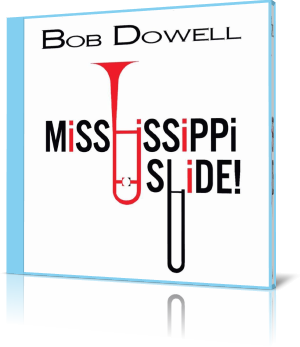 After years recording and performing in large ensembles, or as a sideman for an array of artists in various genres, trombonist Bob Dowell celebrates his new home and the inspirations it provides with Mississippi Slide! (2017). Accompanying musicians are Art Edmaiston, tenor sax; Tony Thomas, Hammond B3 organ; Tim Goodwin, bass; and Tom Lonardo, drums. The title song has a cool blues vibe. The organ introduces the piece, followed by a brief melody by trombone and tenor. 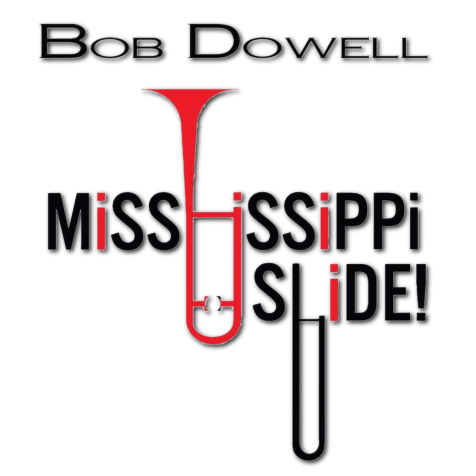 Dowell quickly gives way to a tenor solo that’s right out of the 1950s or ‘60s. Edmaiston plays clean, bright and – cool. Dowell follows with a smooth solo of his own. Thomas, Goodwin and Lonardo stretch out plenty in the background. After Thomas’ brief stint, Dowell and Edmaiston blend for the closing melody and fade. Dowell and Edmaiston carry most of the leads and solos, but Thomas, Goodman and Lonardo stay plenty busy. Rather than simply play the notes to maintain a rhythm, they pick their spots to inject some sass of their own. Dowell is a trombonist, composer and arranger who grew up in north London and studied jazz performance at The Royal Academy of Music. He has since performed and recorded with myriad artists in varied genres from jazz, pop, blues, Latin, soul, ska, reggae to orchestral music and theater productions. Performances include the BBC Proms at the Royal Albert Hall, The BBC Electric Proms, BBC2's Later with Jools Holland, Glastonbury and countless other music festivals. He now resides in Greenville, Mississippi, where he married local blues and jazz artist, Eden Brent.